3. Sumner J. 2000. The Natural History of Medicinal Plants. Timber Press, Portland. 5. Siddiqui, B. S., Afshan, F. and Faizi, S. 2001. Tetrahedron 57: 10281-10286. 6. Siddiqui, B. S., Afshan, F., Ghiasuddin, Faizi, S., Naqvi, S. N. H. and Tariq, R. M. 2000. Phytochemistry 53: 371-376. 7. Siddiqui, S., Faizi, S., Mahmood, T. and Siddiqui, B. S. 1986. Tetrahedron 42: 48494856. 8. Sinniah, D., Goh, S. H. and Baskaran, G. 1988. Proceedings: Malaysian Traditional Medicines, Kuala Lumpur, pp. 65-69. Institute of Advanced Studies, University of Malaya, Kuala Lumpur. 9. Siddiqui, B. S., Afshan, F., Sham-Sul-Arfeen and Gulzar, T. 2006. Natural Product Research 20: 1036-1040. 10. Siddiqui, B. S., Tariq Ali, S. and Kashif Ali, S. 2006. Natural Product Research 20: 241-245. 11. Siddiqui, B. S., Rasheed, M., Ilyas, F., Gulzar, T., Tariq, R. M. and Naqvi, S. N. 2004. Zeitschrift für Naturforschung. C, Journal of Biosciences 59: 104—112. 12. Siddiqui, B. S., Afshan, F., Gulzar, T. and Hanif, M. 2004. Phytochemistry 65: 2363-2367. 13. Siddiqui, B. S., Afshan, F., Gulzar, T., Sultana, R., Naqvi, S. N. and Tariq, R. M. 2003. Chemical and Pharmaceutical Bulletin (Tokyo) 51: 415-417. 14. Siddiqui, B. S., Afshan, F., Faizi, S., Naqvi, S. N. and Tariq, R. M. 2002. Journal of Natural Products 65: 1216-1218. 15. Garg, H. S. and Bhakuni, D. S. 1985. Phytochemistry 24: 866-867. 16. Garg, H. S. and Bhakuni, D. S. 1984. Phytochemistry 23: 2115-2118. 17 Garg, H. S. and Bhakuni, D. S. Phytochemistry 23: 2383-2385. 18. Govindachari, T. R. and Gopalakrishnan, G. 1997. Phytochemistry 45: 397-399. 19. Lee, S. M., Olsen, J. I., Schweizer, M. P. and Klocke, J. A. 1988. Phytochemistry 27: 27732775. 20. Luo, X. D., Wu, S. H., Ma, Y. B. and Wu, D. G. 2000. Fitoterapia 71: 668-672. 21. Mangalam, S. N., Sindhu, G. and Deepa, I. 1997. Phytochemistry 46: 1177-1178. 22. Nanduri, S., Thunuguntla, S. S. R., Nyavanandi, V. K., Kasu, S., Kumar, P. M., Ram, P. S., Rajagopal, S., Kumar, R. A., Deevi, D. S., Rajagopalan, R. and Venkateswarlu, A. 2003. Bioorganic & Medicinal Chemistry Letters 22: 4111-4115. 23. Ramji, N., Venkatakrishnan, K. and Madyastha, K. M. 1996. Phytochemistry 42: 561-562. 24. Rojatkar, S. R. and Nagasampagi, B. A. 1992. Phytochemistry 32: 213-214. 25. Suresh, G., Narasimhan, N. S. and Palani, N. 1997. Phytochemistry 45: 807-810. 26. Singh, U. P., Maurya, S. and Singh, D. P. 2005. Journal of Herbal Pharmacotherapy 5: 35-43. 27. Kanokmedhakul, S., Kanokmedhakul, K., Prajuabsuk, T., Panichajakul, S., Panyamee, P., Prabpai, S. and Kongsaeree, P. 2005. Journal of Natural Products 68: 1047-1050. 28. Sharma, V., Bali, A. and Singh, M. 1998. Phytochemistry 49: 2121-2123. 29. Ghazanfar, S. A. 2004. Handbook of Arabian Medicinal Plants. CRC Press: Boca Raton, FL. 30. Jain, S. K. and DeFilipps, R. A. 1991. 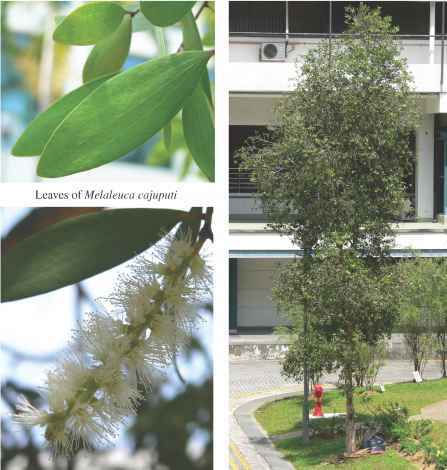 Medicinal Plants of India, volume one and two. Reference Publications Inc.: United States of America. 31. Ajose, F. O. 2007. International Journal of Dermatology 46(Suppl 1): 48-55. 32. Subapriya, R. and Nagini, S. 1995. Current Medicinal Chemistry, Anticancer Agents 5: 149-146. 33. Baswa, M., Rath, C. C., Dash, S. K. and Mishra, R. K. 2001. Microbios 105: 183189. 34. Pai, M. R., Acharya, L. D. and Udupa, N. 2004. Journal of Ethnopharmacology 90: 99-103. 35. SaiRam, M., Ilavazhagan, G., Sharma, S. K., Dhanraj, S. A., Suresh, B., Parida, M. M., Jana, A. M., Devendra, K. and Selvamurthy, W. 2000. Journal of Ethnopharmacology 71: 377-382. 36. Mahfuzul Hoque, M. D., Bari, M. L., Inatsu, Y., Juneja, V. K. and Kawamoto, S. 2007. Foodborne Pathogens and Disease 4: 481488. 37. Thakurta, P., Bhowmik, P., Mukherjee, S., Hajra, T. K., Patra, A. and Bag, P. K. 2007. Journal of Ethnopharmacology 111: 607612. 38. Baral, R. and Chattopadhyay, U. 2004. International Immunopharmacology 4: 355366. 39. Bose, A. and Baral, R. 2007. Human Immunology 68: 823-831. 2005. International Immunopharmacology 5: 1343-1352. 41. Roy, M. K., Kobori, M., Takenaka, M., Nakahara, K., Shinmoto, H., Isobe, S. and Tsushida, T. 2007. Phytotherapy Research 21: 245-250. 42. Roy, M. K., Kobori, M., Takenaka, M., Nakahara, K., Shinmoto, H. and Tsushida, T.
2006. Planta Medica 72: 917-923. 43. Kumar, S., Suresh, P. K., Vijayababu, M. R., Arunkumar, A. and Arunakaran, J. 2006. Journal of Ethnopharmacology 105: 246250. 44. Koul, A., Mukherjee, N. and Gangar, S. C. 2006. Molecular and Cellular Biochemistry 283: 47-55. 45. Sastry, B. S., Suresh Babu, K., Hari Babu, T., Chandrasekhar, S., Srinivas, P. V., Saxena, A. K. and Madhusudana Rao, J. 2006. Bioorganic and Medicinal Chemistry Letters 16: 4391-4394. 46. Subapriya, R., Kumaraguruparan, R. and Nagini, S. 2006. Clinical Biochemistry 39: 1080-1087. 47. Gangar, S. C. and Koul, A. 2007. Indian Journal of Biochemistry and Biophysics 44: 209-215. 48. Subapriya, R., Bhuvaneswari, V. and Nagini, S. 2005. Asian Pacific Journal of Cancer Prevention 6: 515-520. 49. Subapriya, R., Bhuvaneswari, V., Ramesh, V. and Nagini, S. 2005. Cell Biochemistry and Function 23: 229-238. 50. Sarkar, K., Bose, A., Laskar, S., Choudhuri, S. K., Dey, S., Roychowdhury, P. K. and Baral, R. 2007. International Immunopharmacology 7: 306-312. 51. Niture, S. K., Rao, U. S. and Srivenugopal, K. S. 2006. International Journal of Oncology 29: 1269-1278. 52. Gangar, S. C., Sandhir, R., Rai, D. V. and Koul, A. 2006. World Journal of Gastroenterology 12: 2749-2755. 53. Sritanaudomchai, H., Kusamran, T., Kuakulkiat, W., Bunyapraphatsara, N., Hiransalee, A., Tepsuwan, A. and Kusamran, W. R. 2005. Asian Pacific Journal of Cancer Prevention 6: 263-269. 54. Arakaki, J., Suzui, M., Morioka, T., Kinjo, T., Kaneshiro, T., Inamine, M., Sunagawa, N., Nishimaki, T. and Yoshimi, N. 2006. Asian Pacific Journal of Cancer Prevention 7: 467471. 55. Dasgupta, T., Banerjee, S., Yadava, P. K. and Rao, A. R. 2004. Journal of Ethnopharmacology 92: 23-36. 56. Parshad, O., Young, L. E. and Young, R. E. 1997. Phytotherapy Research 11: 398-400. 57. Parshad, O., Gardner, M. T., The, T. L., Williams, L. A. D. and Fletcher, C. K. 1997. Phytotherapy Research 11: 168-170. 58. Khillare, B. and Shrivastav, T. G. 2003. Contraception 68: 225-229. 59. Amadioha, A. C. 2000. Crop Protection 19: 287-290. 60. Govindachari, T. R., Suresh, G. and Masilamani, S. 1999. Fitoterapia 70: 417420. 61. Polaquini, S. R., Svidzinski, T. I., Kemmelmeier, C. and Gasparetto, A. 2006. Archieves of Oral Biology 51: 482-490. 62. Kaur, G., Alam, M. S. and Athar, M. 2004. Phytotherapy Research 18: 419-424. 63. El Tahir, A., Satti, G. M. and Khalid, S. A. 1999. Journal of Ethnopharmacology 64: 227-233. 64. RaviDhar, Zhang, K. Y., Talwar, G. P., Garg, S. and Kumar, N. 1998. Journal of Ethnopharmacology 61: 31-39. 65. Nathan, S. S., Kalaivani, K. and Murugan, K. 2005. Acta Tropica 96: 47-55. 66. Udeinya, I. J., Brown, N., Shu, E. N., Udeinya, F. I. and Quakeyie, I. 2006. Annals of Tropical Medicine and Parasitology 100: 17-22. 67. Kirira, P. G., Rukunga, G. M., Wanyonyi, A. W., Muregi, F. M., Gathirwa, J. W., Muthaura, C. N., Omar, S. A., Tolo, F., Mungai, G. M. and Ndiege, I. O. 2006. Journal of Ethnopharmacology 106: 403-407. 68. Soh, P. N. and Benoit-Vical, F. 2007. Journal of Ethnopharmacology 114: 130-140. 69. Gopal, M., Gupta, A., Arunachalam, V. and Magu, S. P. 2007. Bioresource Technology 98: 3154-3158. 70. Gupta, S., Kataria, M., Gupta, P. K., Murganandan, S. and Yashroy, R. C.
2004. Journal of Ethnopharmacology 90: 185-189. 71. Subapriya, R., Kumaraguruparan, R., Abraham, S. K. and Nagini, S. 2005. Journal of Herbal Pharmacotherapy 5: 39-50. 72. Sithisarn, P., Supabphol, R. and Gritsanapan, W. 2006. Medical Principles and Practice 15: 219-222. 73. Sithisarn, P., Supabphol, R. and Gritsanapan, W.
2005. Journal of Ethnopharmacology 99: 109-112. 74. Prakash, D., Suri, S., Upadhyay, G. and Singh, B. N. 2007. International Journal of Food Science and Nutrition 58: 18-28. 75. Di Ilio, V., Pasquariello, N., van der Esch, A. S., Cristofaro, M., Scarsella, G. and Risuleo, G. 2006. Molecular and Cellular Biochemistry 287: 69-77. 76. Chaube, S. K., Prasad, P. V., Khillare, B. and Shrivastav, T. G. 2006. Fertility and Sterility 85 Suppl 1: 1223-1231. 77. Ashorobi, R. B. 1998. Phytotherapy Research 12: 41-43. 78. Parida, M. M., Upadhyay, C., Pandya, G. and Jana, A. M. 2002. Journal of Ethnopharmacology 79: 273-278. 79. Joshi, S. N., Katti, U., Godbole, S., Bharucha, K., Kishore Kumar, B., Kulkarni, S., Risbud, A. and Mehendale, S. 2005. Transactions of the Royal Society of Tropical Medicine and Hygiene 99: 769-774. 80. Yinusa, R., Isiaka, A. O., Caleb, A. O. and Godwin, J. 2004. Journal of Ethnopharma-cology 90: 167-170. 81. Bandyopadhyay, U., Biswas, K., Chatterjee, R., Bandyopadhyay, D., Chattopadhyay, I., Ganguly, C. K., Chakraborty, T., Bhattacharya, K. and Banerjee, R. K. 2002. Life Sciences 71: 2845-2865. 82. Dorababu, M., Joshi, M. C., Bhawani, G., Kumar, M. M., Chaturvedi, A. and Goel, R. K. 2006. Indian Journal of Physiology and Pharmacology 50: 241-249. 83. Chattopadhyay, R. R. 2003. Journal of Ethnopharmacology 89: 217-219. 84. Koul, A., Ghara, A. R. and Gangar, S. C. 2006. Phytotherapy Research 20: 169-177. 85. Koul, A., Binepal, G. and Gangar, S. C. 2007. Indian Journal of Experimental Biology 45: 359-366. 86. Chattopadhyay, R. R. 1999. Journal of Ethnopharmacology 67: 367-372. 87. Waheed, A., Miana, G. A. and Ahmad, S. I. 2006. Pakistan Journal of Pharmaceutical Sciences 19: 322-325. 88. Oiefuna, I. and Young, R. 2004. Novel Compounds from Natural Products in the New Millennium. Potential and Challenges. World Scientific Publishing: Singapore. 89. Chattopadhyay, R. R. 1997. General Pharmacology: The Vascular System 28: 449-451. 90. Obiefuna, I. and Young, R. 2005. Phytotherapy Research 19: 792-795. 91. Beuth, J., Schneider, H. and Ko, H. L. 2006. In Vivo 20: 247-251. 92. Haque, E. and Baral, R. 2006. Immunobiology 211: 721-731. 93. Haque, E., Mandal, I., Pal, S. and Baral, R. 2006. Immunopharmacology and Immuno-toxicology 28: 33-50. 94. Yanpallewar, S., Rai, S., Kumar, M., Chauhan, S. and Acharya, S. B. 2005. Life Sciences 76: 1325-1338. 95. Hordegen, P., Cabaret, J., Hertzberg, H., Langhans, W. and Laurer, V. 2006. Journal of Ethnopharmacology 108: 85-89. 96. Fatima, F., Khalid, A., Nazar, N., Abdalla, M., Mohomed, H., Toum, A. M., Magzoub, M. and All, M. S. 2005. Turkish Society for Parasitology 29: 3-6. 97. Nakahara, K., Roy, M. K., Ono, H., Maeda, I., Ohnishi-Kameyama, M., Yoshida, M. and Trakoontivakorn, G. 2003. Journal of Agriculture and Food Chemistry 51: 6456-6460. 98. Nakahara, K., Trakoontivakorn, G., Alzoreky, N. S., Ono, H., Onishi-Kameyama, M. and Yoshida, M. 2002. Journal of Agriculture and Food Chemistry 50: 4796-4802. 99. Farah, M. A., Ateeq, B. and Ahmad, W. 2006. The Science of the Total Environment 364: 200-214. 100. Singh, K., Singh, A. and Singh, D. K. 1996. Journal of Ethnopharmacology 52: 35-40. 101. Abdel-Shafy, S. and Zayed, A. A. 2002. Veterinary Parasitology 106: 89-96. 102. Al-Rajhy, D. H., Alahmed, A. M., Hussein, H. I. and Kheir, S. M. 2003. Pest Management Science 59: 1250-1254. 103. Paul, P. K. and Sharma, P. D. 2002. Physiological and Molecular Plant Pathology 61: 3-13. 104. Singh, U. P. and Prithiviraj, B. 1997. Physiological and Molecular Plant Pathology 51: 181-194. 105. Thacker, J. R. M., Bryan, W. J., McGinley, C., Heritage, S. and Strang, R. H. C. 2003. Crop Protection 22: 753-760. 106. Nathan, S. S., Savitha, G., George, D. K., Narmadha, A., Suganya, L. and Chung, P. G. 2006. Bioresource Technology 97: 1316-1323. 107. Nathan, S. S., Kalaivani, K. and Murugan, K. 2006. Ecotoxicology and Environmental Safety 65: 102-107. 2006. Ecotoxicology and Environmental Safety 64: 382-389. 109. Anuradha, A., Annadurai, R. S. and Shashidhara, L. S. 2007. Insect Biochemistry and Molecular Biology 37: 627-634. 2007. Malaria Journal 6: 63. 111. Skidmore-Roth L. 2001. Mosby's handbook of herbs and natural supplements. Mosby, Inc.: St. Louis. 112. Boeke, S. J., Boersma, M. G., Alink, G. M., van Loon, J. J., van Huis, A., Dicke, M. and Rietjens, I. M. 2004. Journal of Ethnophar-macology 94: 25-41.